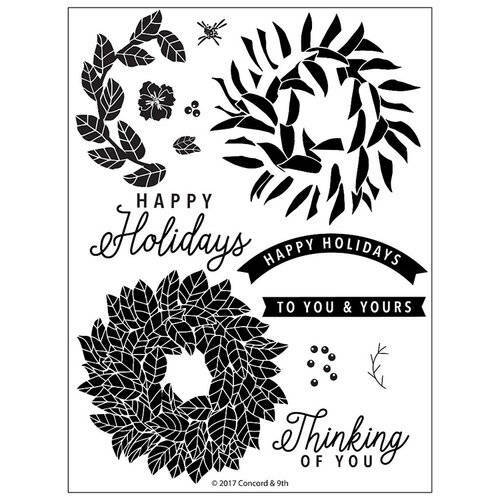 Stamp up Christmas coziness with the Magnolia Wreath Clear Acrylic Stamps by Concord and 9th. The package includes 13 photopolymer stamps that can be used with your favorite inks and an acrylic block, each sold separately. Included are sentiments that are perfect for Christmas and everyday cards, magnolia wreaths, flowers, berries and more. The stamps come on a 6" x 8" storage sheet and are made in the USA.